THORIGNÉ FOUILLARD, France, and HAMBURG, Germany – Oct. 19th, 2017, 06:00 PM CET – Kerlink (ALKLK – FR0013156007), a specialist and global leader in network solutions dedicated to the Internet of Things (IoT), and Digimondo, one of Europe’s leading IoT end-to-end solution providers, today announced that Kerlink gateways are being integrated in Digimondo’s LoRaWAN network rollouts in Germany and across Europe. DIGIMONDO offers a cutting-edge LoRaWAN network server called firefly. Along with E.ON, DIGIMONDO recently completed one of Germany’s largest LoRaWAN IoT rollouts using firefly software and Kerlink hardware in the city of Gehrden and surrounding areas. 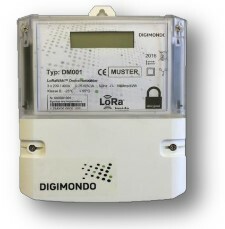 The deployment installed more than 1,100 smart electricity meters, and smart-parking sensors. Powered by Kerlink’s WirnetTM iBTS Compact stations, the network generates efficiency of higher than 97 percent uninterrupted connectivity, compared to approximately 80 percent efficiency of meters in basements with classic mobile radio connectivity like LTE. The LoRaWAN network server firefly, offered both as software as a service (SAAS) and on-premise, connects objects to DIGIMONDO’s public and site-specific, customer-owned private networks. Firefly-based networks have delivered 99.99 percent uptime. DIGIMONDO will launch an upgrade for firefly in Q4 2017 with advanced features, including the transport layer security (TLS) protocol to protect data and the MQTT IoT and M2M protocols. The LoRaWAN 1.1 standard will be implemented in the upcoming release. 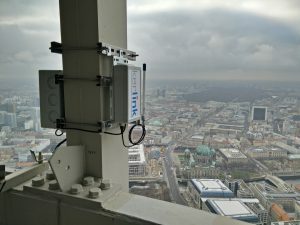 LoRaWAN IoT network deployment by DIGIMONDO in Berlin, using Kerlink Wirnet iBTS Compact gateway. DIGIMONDO offers its LoRaWAN network server firefly to customers with a very competitive pricing model that is based on the number of gateways installed. This highly economical solution contrasts with fee structures based on the number of connected end nodes. Moreover, this gateway-based pricing model increases profit margins for customers because they can scale their sensor connectivity without paying any additional costs. Kerlink, a co-founder and board member of the LoRa Alliance, recently reported first-half 2017 revenue of €10.1 million, up 87 percent from the same period last year. Earlier this year, the company announced nationwide LoRaWAN deployments with partners in India and Argentina.